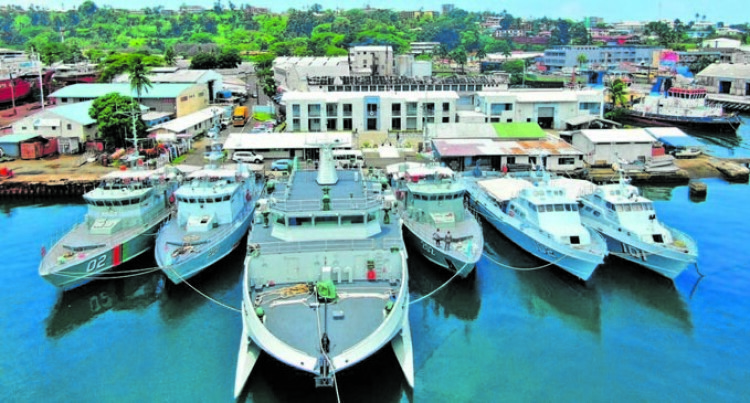 The Republic of Fiji Military Force (RFMF) Naval Division has revealed the name of its newest hydrographic Survey vessel that will join the Fijian Navy fleet in November from South Korea. The newly built vessel will be named RFNS Volasiga, this was revealed by the Fiji Navy Fleet Operations Officer Lieutenant Commander Navy Timoci Natuva. “The vessel will be fully equipped with hydro survey equipments,” Lt Com (Navy) Natuva Said. “The Royal Fiji Navy (RFN) currently have five naval vessels which are RFNS Kikau, RFNS Kula, RFNS Kacau, RFNS Lautoka and RFNS Levuka. “All ships can be used for maritime surveillance while RFNS Kacau is used for hydro graphic survey. Meanwhile last year RFN conducted several sea operations which had turned out successful for the Naval division. He said 2018 was an eventful year where the RFN not worked with partners like the Royal New Zealand Navy through operation Wasawasa. “Fiji has an Exclusive Economic Zone of 1.3 million square kilometers with various boarder agencies like, Fiji Customs, Fiji Police Force, Fiji Fisheries, Immigration and Bio security that help us in looking after the Fiji’s waters. “Naval officers work on normal eight to 12 hours, but on deployment you work 24 hours. “Our operations room, Suva radio 3 DP and the base security is manned 24 hours. “All naval officers are on call 24 hours and you can be called on short notice to work.